The Income Tax Department is committed to the objective of timely delivery of quality taxpayer services in a fair and transparent environment. The Department has modified the Annual Performance Appraisal Report (APAR) of the Assessing Officers (Income Tax Officers as well as Assistant Commissioners/Deputy Commissioners of Income Tax) to bring about greater accountability in assessment functions. In the revised format, the performance of the assessing officers will also be specifically measured for quality of assessment, the pace of disposal, and efforts made towards widening of tax base. With these changes the assessing officers will be more conscious of their accountability for the quality of their assessment orders and the tax demanded in such orders. This system is expected to bring about greater judiciousness in application of law by the assessing officers. The modified APAR form will be applicable for the reporting year 2015-16. 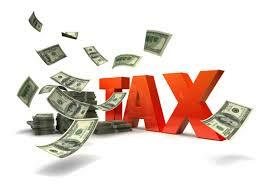 This measure is another step by the Income Tax Department to provide a non –adversarial tax regime.